New release – 2015! New results! The beginning of November means for our team not only the wonderful gold autumn season and beautiful leaf fall, but new results in a form of proRM Business Solutions release 2015. Even having the best feedback from our customers we are always trying to improve the performance, functions and usability of our solution. What is the most important to know about the new version of proRM Business Solutions? It is much faster and more productive due to performance being hastened up to 60%! Our developers definitely know something about magic! But what about proRM Apps? There is a list of new features, which will be very interesting for our users. But if you still have no idea about our sales, resource and project management solution inside, just try our Demo in the Cloud or request the Freemium Edition of proRM Business Solutions and use it for 1 year absolutely for free! 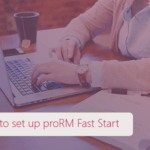 proRM Controlling Manager and proRM Budget Planning have a new UI (User Interface) – this is in response to a question about continually improving user-friendliness. The special date filter allows you to choose the necessary analysis for a period of time without leaving the application. In the proRM Approval Manager, there is a new auto calculation function for certain items. It is also possible to see a new field “Tax,” which is very important while making decision about approving expenses. There is a possibility for users now to identify the type of expenses according to needs. Such types as Billable and Not Billable expenses are available while using proRM Tracking, proRM Fast Tracking, proRM Tracking Manager and proRM Approval Manager. 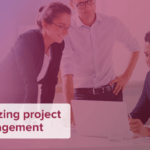 The application, which traditionally significantly hastens the work of project managers – proRM Bulk Booking – became even quicker and brings an order to project manager’s operations. Now the rebooking process is clearer, because the right side of the application shows not all the resources, but only those opened for rebooking. In the new version of proRM Resource Assignment, the data about workload of resources is now available in a special column and can be used by the project managers for increasing of efficiency of resource management. Additionally proRM Workload now has a new display mode functions, which allow you to see the most necessary data. Moreover, the integration of proRM Business Solutions into MS Dynamics CRM is deeper with each new proRM release. This time the revolution is in the famous quick button of MS Dynamics CRM 2013 “Create +”, which now can be used for immediate creating of bookings without necessity to leave the currently used application. The workflow between CRM and proRM Business Solutions is synchronized to the max. If you want to know more technical details about the new proRM release visit our proRM Wiki to find the Changelog 4.0.4. We are always waiting for your feedback and impressions! Simply contact us!